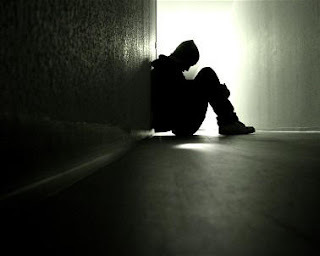 There are some times we go through life and we feel very lonely. The weight of our circumstances seem almost too much to bear. It seems like we are in the thick of the storm, and nobody knows where we are or what we are going through...nobody seems to understand. Boy have I been there! I was in a new place, with new people and I felt extremely lonely. Things I had thought would work out didn't seem to be working out. Plans I had made seemed to be crumbling all around me, and nobody really understood what I was going through. My very existence seemed questionable and at one point I wondered if anybody would care whether I was alive or dead. I cried out to God, and He didn't seem to care either. No response. No joy. No peace. Lots of tears.